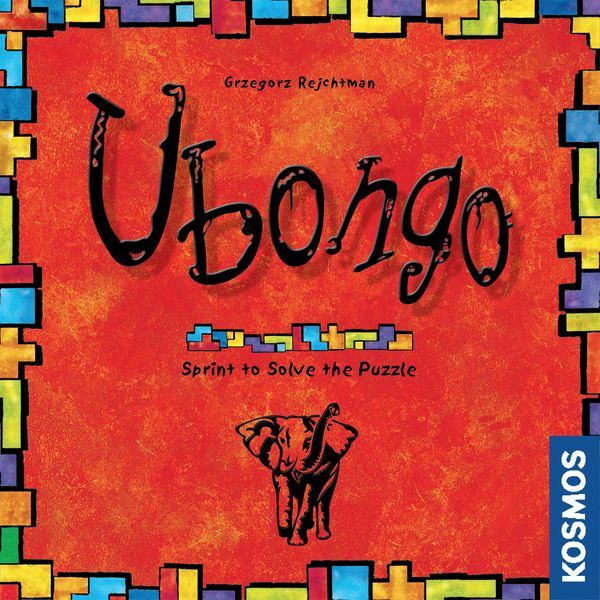 Ubongo is a fast-paced, addictive, and easy-to-learn geometric puzzle game. Players race against the timer and against each other to solve a puzzle of interlocking shapes. The faster you solve the puzzle, the more gems you get. The player with the most valuable gem treasure after nine rounds of solving puzzles wins! Here’s how it works: Each player receives a set of 12 polyominos — geometric shapes formed of equal-size squares joined edge to edge in different arrangements. At the start of each round, each player gets a new puzzle panel. 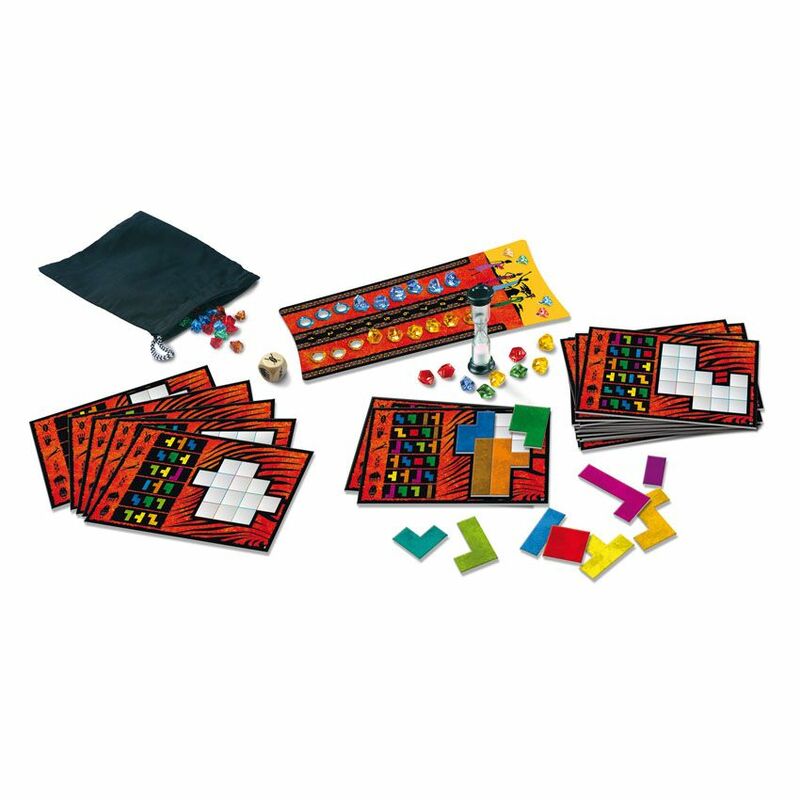 A roll of the die determines which polyominos you must use to perfectly fill in the empty spaces on the puzzle panel. 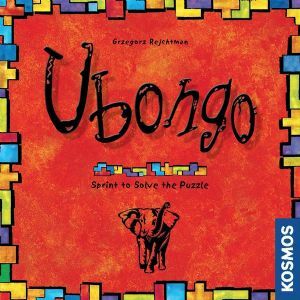 Any players who complete the puzzle within the time limit yell out “Ubongo!” and grab a gem at random from the bag. The fastest player also gets a blue gem and the second fastest an amber gem. Each gem colour is worth a different amount of points. After nine rounds, the player with the most valuable gem collection wins. Download the free companion app, which helps you learn how to play the game, and includes a game timer, a solo game timer, and solution keys.